Private: Blog Travel Team 2017: Week 0: Pre-Travel Excitement! Travel Team 2017: Week 0: Pre-Travel Excitement! Our 2017 Travel Team is ready and rearing to go! We set out today, Saturday June 17th, for Nicaragua’s capital city, Managua, where we will stay a few days before traveling on to the Northern Highlands of Nicaragua, to San Ramón. This summer, our travel team will be repairing two bridges in the San Ramón region. 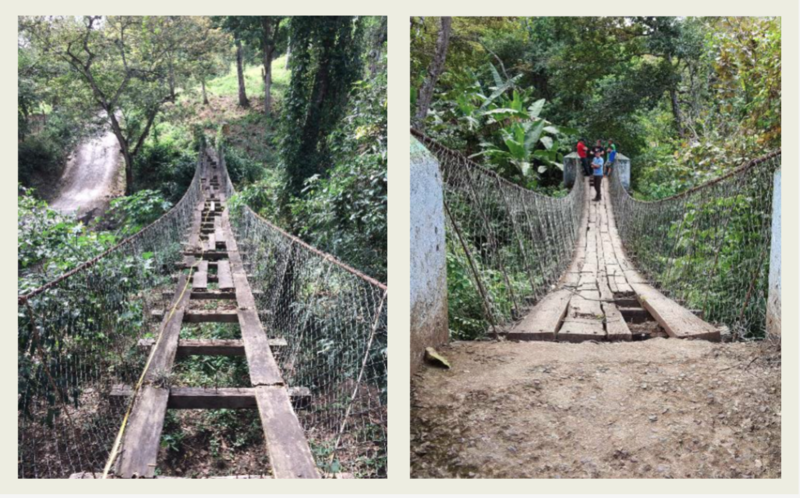 The bridges we will be working on are in the villages Guadalupe and Samulali. 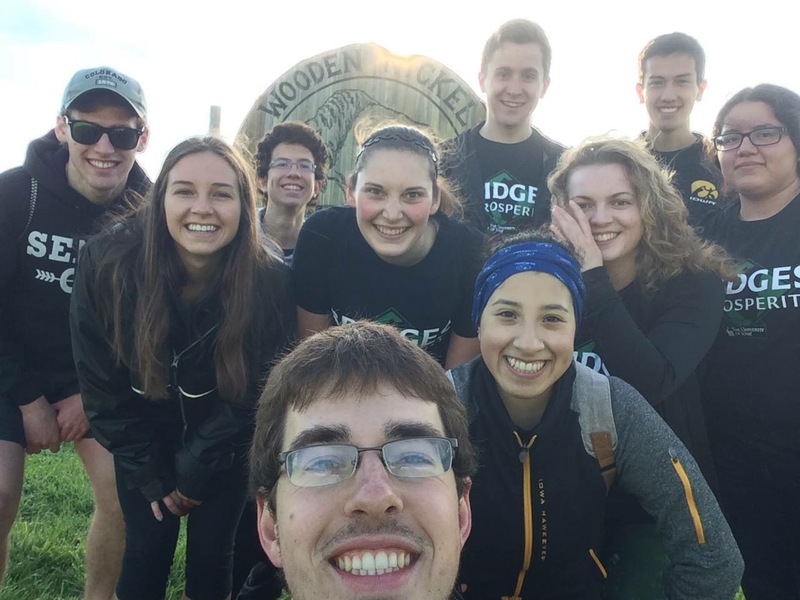 The 2017 Travel Team consists of five University of Iowa Engineering undergraduates, a very recent Iowa Engineering graduate. The recent Iowa grad Anthony Emigh will be serving as Project Manager for a second time, and this will be his fourth trip to Nicaragua (unlike us undergrads: this is our first Nicaragua adventure!). Anthony has a degree in Civil and Environmental Engineering and has been accepted to the University’s graduate program. Anthony has done a fantastic job helping Continental Crossings transition from a student organization to a CEE class with the help of Professor Craig Just. Logan Kirby is a rising junior at Iowa, studying Civil and Environmental Engineering. Logan will be our Construction Manager this summer. The construction manager will help the community members with technical construction tasks and will make sure the community learns maintenance techniques so that they will be able to care for their bridge in the future. My name is Elly Martens, and I will be serving as Safety Manager. I am a rising junior, majoring in Biomedical Engineering, and minoring in Spanish and Latin American Studies. As safety manager, I will hold construction safety meetings in both English and Spanish, distribute protective equipment and inspect the tools that will be used on a given day. Our Quality Control Manager/ Bridge Engineer is Chris Sullivan, a rising junior majoring in Mechanical Engineering and minoring in Spanish. Chris will be taking a daily inventory of construction materials while also documenting the construction process with photographs and measurements. Sandra Castillo Aguirre is our Cultural Relations Manager, which is somewhat of a new role to Continental Crossings. Another rising junior in Biomedical Engineering, Sandra will interact with the Bridge Committee and community members to foster effective cross-cultural communication. Mayra Corona is a rising senior at Iowa, studying Civil and Environmental Engineering, and will be our Logistics Manager this summer. Mayra will be in charge of planning our transportation, as well as the transportation of our food, water, and construction materials. Each Travel Team member has a role that is vital to a smooth and productive build while abroad. This year, the majority of our team speaks Spanish, and the communities we will be working with have interacted with Bridges to Prosperity and/or Continental Crossings in the past. I have high hopes for what this team can accomplish this summer, and am so excited to get started! My bags are packed and the passport’s in hand! All that’s left to do now is to get there! We’ll keep you posted on our progress over these next five weeks, so stay tuned! I am keeping all of you close to my heart and in prayer as your adventure unfolds. God bless and protect you! With love from “a Mom”.